Frank Brooks, president of the Anthony (Kansas) Boosters, on an automobile trip with the Anthony Boosters' band. The photograph is labeled "Brooks Blowing About Anthony." 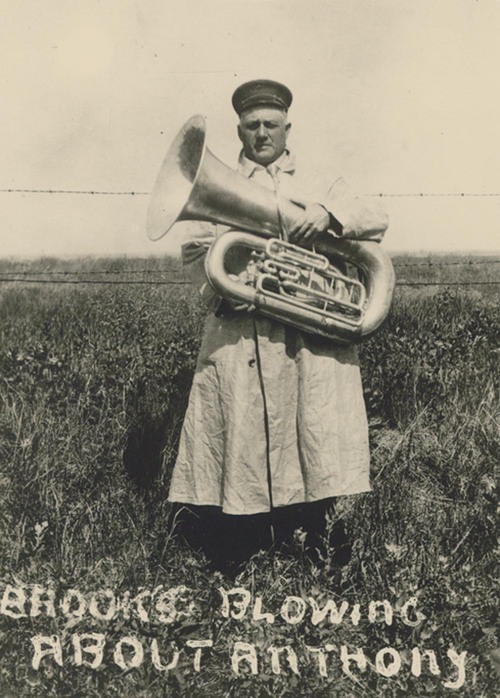 Brooks is wearing a band uniform hat and a duster coat, holding a band instrument, and standing in prairie grass in front of a barbed wire fence.